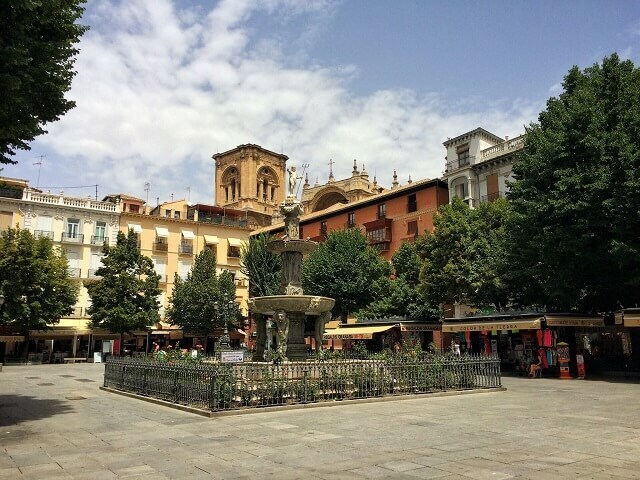 Visit Granada: what are the best things to do and see in the beautiful Andalusian city? Nestled in the heart of Andalusia, Granada is a multifaceted city. Between sumptuous Arabo-Muslim palaces, extraordinary ski resorts, and peaceful gardens, be prepared to discover Granada’s best kept secrets. Visit Granada and you will discover one of Spain’s most beautiful cities. Set against the backdrop of the Sierra Nevada mountain range, this city is known for its exceptional architecture and emblematic monuments, such as the iconic Alhambra. 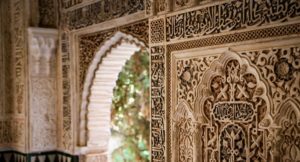 To help you plan your stay in Granada more easily, we have listed the best things to do in Granada, with all you need to know to visit this gem of Andalusia. 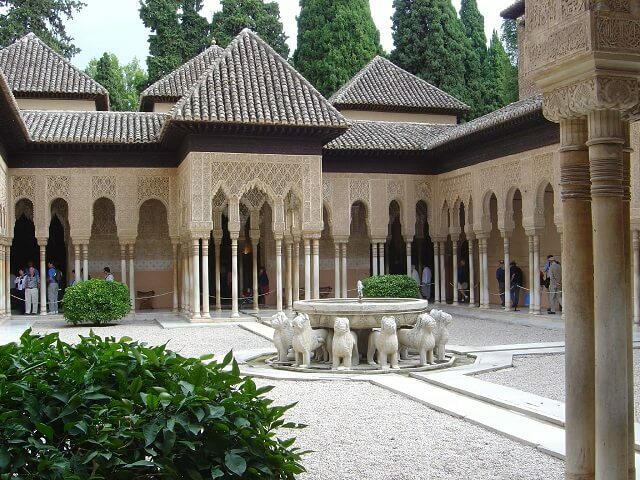 The Alhambra, Spain’s most visited palace, is without a doubt the most emblematic place to visit in Granada. Listed as World Heritage by Unesco in 1984, the city is one of 21 finalist candidates to become one of the 7 new wonders of the world. Emblematic of Andalusian art at its best, the Tower of Comares was built at the initiative of Yusuf I, and the famous Patio de los Leones (Court of the Lions) was commissioned by Mohamed V.
To visit Granada and not see the Alhambra is like going to Paris and ignore the Eiffel Tower. Open day and night, you should spend half a day to appreciate the beauty of the place. Tip: it is mandatory to book more than a week in advance to obtain admission tickets. More information available in our guide to visit the Alhambra. Granadins like to wander in the small cobbled streets of Albaycín, the old Arab district. Full of charm, the medina is decorated with flowers adorning the balconies of white houses. This area is also a great place to enjoy a real Spanish paella or attend an authentic and free flamenco show in the street. Watch the flamenco artists sing and dance, accompanied by the typical “palmas” (traditional hand clapping) that punctuate their energetic steps. Every visitor must venture on the heights of Granada. See the entire Alhambra from the Mirador San Nicolas, offering a magnificent panorama to delight young and old alike. Overlooking Granada, the majestic San Miguel Alto watchtower is the ideal vantage point from which to admire a beautiful sunset. Anyone who ventures there, at the highest point of the city, will feel exhilarated. Beautiful pictures guaranteed! Skiing in Andalusia is possible. At a distance of 200 km from the African coast as the crow flies, the Sierra’s 3478 meters of altitude offer beautiful descents. With a long ski season – the first snowflakes fall in November, only to melt in June – the slopes remain open until May. The renting of ski equipment being inexpensive, experience the joys of skiing without spending a fortune. Tip: Buses leave from Granada’s bus station, and arrive directly at the gates of the ski resort. In 40 minutes and for only 9 euros (round trip), the snowy slopes of the Sierra Nevada welcomes all skiing enthusiasts. Book your tickets via the website alsa.es (in Spanish) or directly at the station. Adults and children alike will enjoy this fun and educational visit. A variety of permanent interactive exhibitions address practically every aspect of science. One room is dedicated to explaining the functioning of the human body. Another room, entitled “perception”, focuses on the themes of sound and light. Thanks to the museum’s planetarium, visitors can also embark on a fascinating journey in the heart of the universe. 110 projectors reproduce more than 7,000 stars. Both peaceful and lively, Granada is filled with plazas and gardens. While strolling in the city centre, visitors can stop at the “Bib Rambla” square and admire the nearby cathedral. Passing through “avenida de la Constitución”, make sure you stop by for a short break at the “Triunfo” Gardens to admire its jets of water, lit at night. Another must-see while you visit Granada: “El Carmen de los Martires”, a small haven of peace nestled up above the city. In a green and relaxing environment, peacocks and geese keep visitors entertained while they enjoy a breathtaking view of the city. Known for its bustling nightlife, Spain attracts partygoers from all over the world. 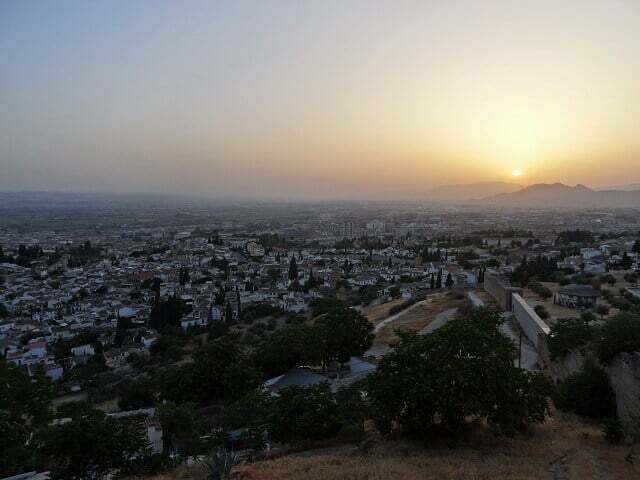 Andalusia is no exception: there’s something to do in Granada for everyone, night and day. Destination of choice within the Erasmus student exchange programme, the city is packed with vibrant entertainment venues. After indulging in delicious tapas in one of the many bars of the city centre, it will be a good idea to visit one of the city’s bars, where you can enjoy a beer or a “tinto de verano” (a wine-based cocktail with Fanta) to start the evening. Tip: “El nido del buho”, a lively bar where even big eaters will be satisfied by the gargantuan tapas served there. Around 3 o’clock in the morning, the party goes on in one of the city’s many nightclubs such as “El Camborio”, situated up above town, and overlooking the Alhambra. Music lovers can attend one of the free or inexpensive concerts frequently taking place in Granada. From rock music to jazz or classical music, there is enough to suit everyone’s taste. 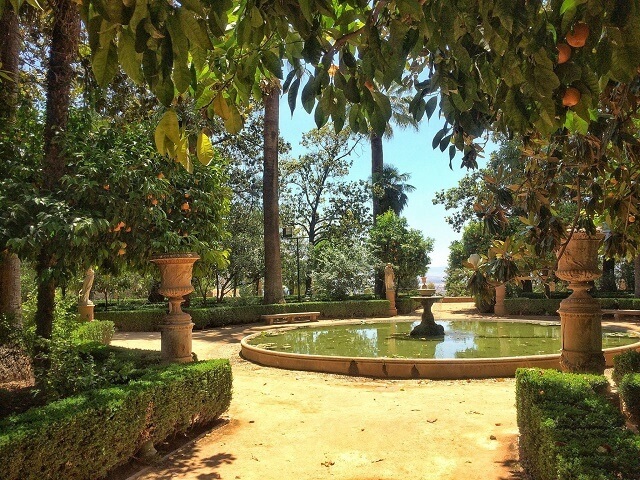 Granada also has a beautiful botanical garden, a large mosque, beautiful monasteries open to the public, and luxurious and affordable Arab baths… Aside from this non-exhaustive list, it’s best to travel to Granada and discover the city’s beauty and impressive heritage. Be careful, you may want to stay there forever! Though Granada has its own airport, it is a rather small one: flights to the city will usually require a stopover. The best solution is to land in Malaga or Seville and take a bus (see the website Alsa). You can easily find a low-cost flight to these destinations on Skyscanner. There are different areas to stay in Granada: read our article on the topic for more information. To find an inexpensive hotel in Granada, simply search this hotel aggregator.